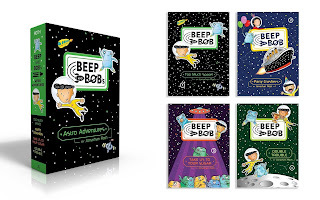 Have A Blast With Beep And Bob! Bob is an ordinary kid who finds himself having to go to school in the most terrifying place he can imagine: outer space! Luckily he makes friends with a lost little alien named Beep, and together they face all the usual school challenges (tests, too much homework, bullies) and the not-so-usual (lack of gravity, black holes, giant space spiders). 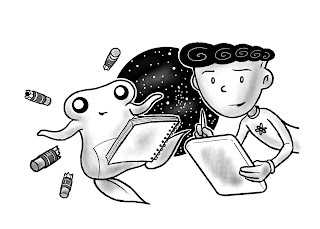 You can read all about their adventures (Bob keeps a journal and Beep draws the pictures) and use the following prompts to create your own! and Klob, who’s super scary. Know any other aliens? Draw them too! I hope you have fun with your writing and illustrating. The main thing to remember is that you can always, always improve with practice. And being creative can be a blast! Corporate events are usually handled by an experienced adviser who has specialization in organizing activities. An experienced event adviser has the necessary skills to competently research and plan an effective event for the convention center from beginning to end.